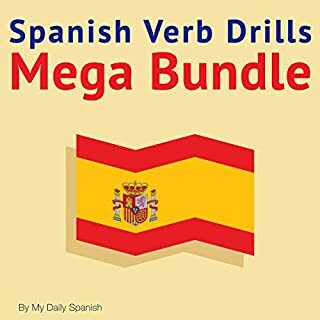 You're about to discover over 1,000 Spanish verbs exemplified in Spanish and English sentences. 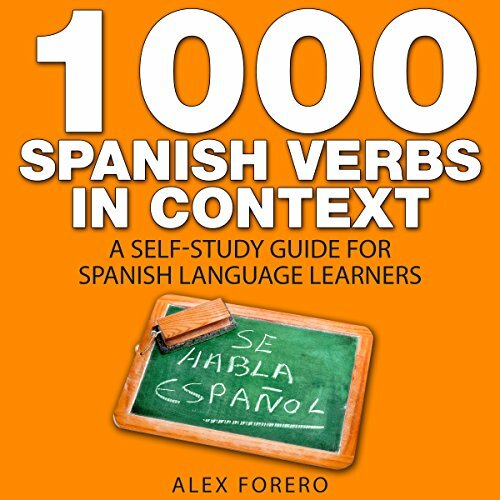 In my book, 1,000 Spanish Verbs in Context, I give you over 1,000 of the most common Spanish verbs used today. 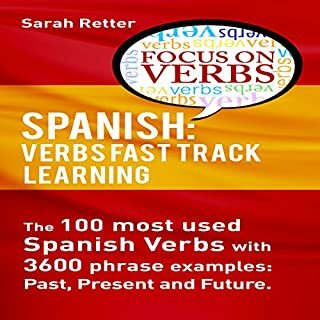 You are given the verb in Spanish and English with examples of the verb in a sentence, also in Spanish and English: No more confusion about how to use the verb. On thousand words is a perfect number to aim for. It is important to give yourself goals to stay motivated and to keep yourself learning. Imagine if you learned 10 words a day: five in the morning and five at night. After only 100 days (that's just over three months) you would have access to 1,000 verbs in your vocabulary. That really is quite a lot, and it would give you an excellent grasp of the language. Far too many people expect to be speaking a new language far too quickly without putting in the time or effort. As a language teacher, I can testify to seeing this too many times. I can also say that by exposing yourself to a new language daily, you will surely learn it. It does take time and effort, but 10 words a day will give you a massive boost. If you prefer a slower pace, then you could set yourself different goals. The key to learning new vocabulary is to see it in context - that means in use. Seeing how a word is used will help you remember it better. It is also important to understand how that word should be used in a sentence. 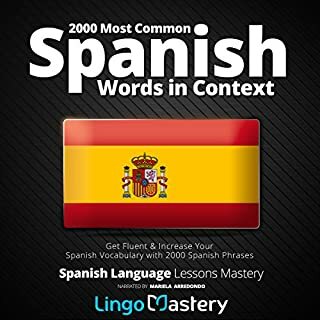 As a free bonus I have included the top 100 most-used words in Spanish. Yes, I really want you to learn this beautiful language. English phases should have been first. It's for advanced or those wanting to learn English. This is so lame. This made no sense. The order was all mixed up and taught me nothing. 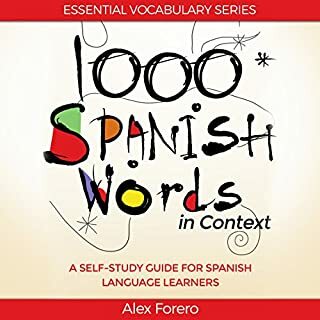 What did you like best about 1000 Spanish Verbs in Context? What did you like least? Would you be willing to try another book from Alex Forero? Why or why not? Would you listen to another book narrated by Michelle León? Could you see 1000 Spanish Verbs in Context being made into a movie or a TV series? Who should the stars be? Yo estudio español por dos años y en esta etapa de mis estudios, este audio es uno de lo más útil que encontró. Me voy a Mexico pronto - es muy bueno este libro de verbos!! We want more!! 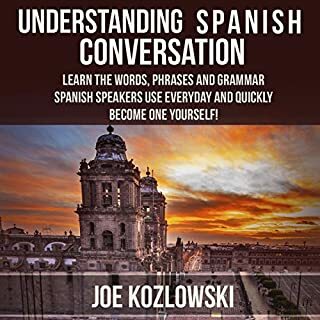 I am an advanced speaker of Spanish but a non-native. For me this audiobook served as a great refresher for the 1,000+ verbs it covers. 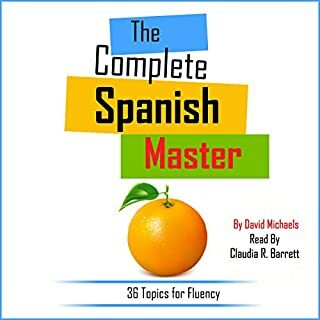 There are several ways to us most verbs, so this audiobook really was great practice. Although I did already know the majority of the verbs, there were many times that I caught myself thinking "Ah, I didn't know that I can also use that verb in that particular way." Or "Oh yeah, I know that verb. I need to use it more when I'm speaking Spanish in order to diversify my vocabulary." There were also many times that I clicked the "Go back 30 seconds" button in order to contemplate what I had just heard and try to commit the previous sentence(s) to memory. Repetition is important, so I recommend other listeners also do this. All in all, this was an excellent audiobook. I am considering also buying the print edition of the book so that I can go through the material again for further practice.